It seems to me like the most popular creationist argument against evolution is the claim that "mutations can never add new information to the genome." Answers in Genesis uses this argument, the ICR uses this argument, and they seem to think that it is proof that "molecules to man" evolution is impossible. They say that all observed mutations either change the information or delete it. However, the creation information argument seems to me to have one fatal flaw: the ability for multiple mutations to add information. We have the original section but a completely new one has been added. Is this not new information? The creationists seem to have overlooked the ability of copy mutations + point mutations to generate information. a new, slightly different protein. A new gene and a new protein would have been created. Is this not new information? Let's pretend I am the owner of a company that makes toys. I tell Mr. Bob to send a letter to Mr. Fred telling Mr. Fred to make a stuffed cat. However, Mr. Bob isn't paying much attention when he's typing up the message and he accidentally copies my message twice. Make a stuffed cat. Make a stuffed cat. Mr. Bob sends the message to Mr. Fred. Mr. Fred reads it, copies it, and sends it to the toy-making factory. However, in his letter to the toy-making factory he accidentally changed one of the letters. Make a stuffed cat. Make a stuffed rat. The toy-making factory makes two things: stuffed rats and stuffed cats. New information has been added, and the new information told them to do something new. Let us also pretend that the stuffed rats were amazingly popular and I got rich. This would be both new information and beneficial information (for me and my company, at least), right? I was able to add new information to the "genome" by simply doing the stuff mutations do: copy, add, delete, and modify. It seems to me that the creationist information argument is bogus. Copy mutation: I like God. I like God. Inversion mutation: I like God. I like Dog. Deletion mutation: I like Dog. Copying of DNA followed by mutation has of course happened in real life and lead to the formation of new genes. My favorite example is the sdic gene is Drosophila melanogaster. the Sdic polypeptide and created motifs characteristic of known axonemal dynein intermediate chains. The regulatory region of Sdic,including a spermatocyte-specific promoter element, also evolved from AnnX and Cdic sequences"
so the creationist information argument is not only false in theory but in practice as well. iF MUltiple mutations were added to our understanding then the genome this came from correlated to other stats in biology would be interesting and would indeed make the point but this is I think a point with ICR AIG when they say reiterating that mutations do not add information for in the content of the context of our taught evolutionary theory all we have gotten professionally (as long as my know"" is in the loop)is DEVELOPEMENTAL contraints but to falsifiy this claim one would need to know what LAWS ordinal POSITIONS of genes mutations (mutated genes)apply in heritbility, the environment, and development even if some generalized algebraic invariace may be common to any participating artithemiatic for every mechanics involved and all geometry. But that is more that evolutionists have so they do prefer philosophically sometimes to discuss species selection instead rather than disceting whatever kinematics this may influence in the granting cycle. There is some room here for biochemical discussion as well but I pass. 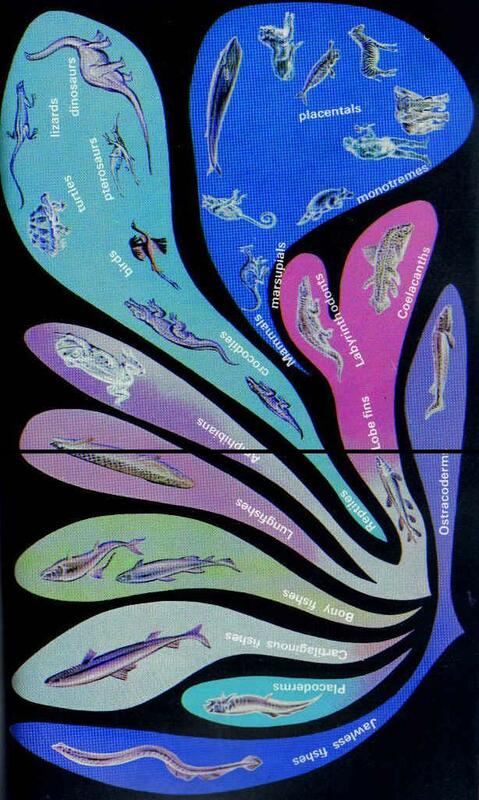 Just look at how hope ful the monstor of the Burgess Shale could be with 11 digits per fin. Not easy when the uniqueness has nothing to compare to. Evolution could still be but the inference would be lacking or at best a throw back to less enlightened days for some on this board. regardless of whether there was 'intent'.